VANCOUVER, B.C. 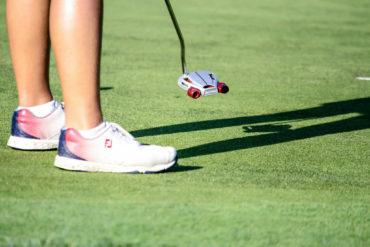 – Gina Kim, Yealimi Noh and Dylan Kim all sit 7-under after the second round of the Canadian Women’s Amateur Championship at Marine Drive on Wednesday. Gina Kim started the day at 4-under then carded three birdies and a bogey on her front nine. She made the turn and fired three more birdies and a bogey to finish with a 3-under 68, one stroke lower than her score on Tuesday. 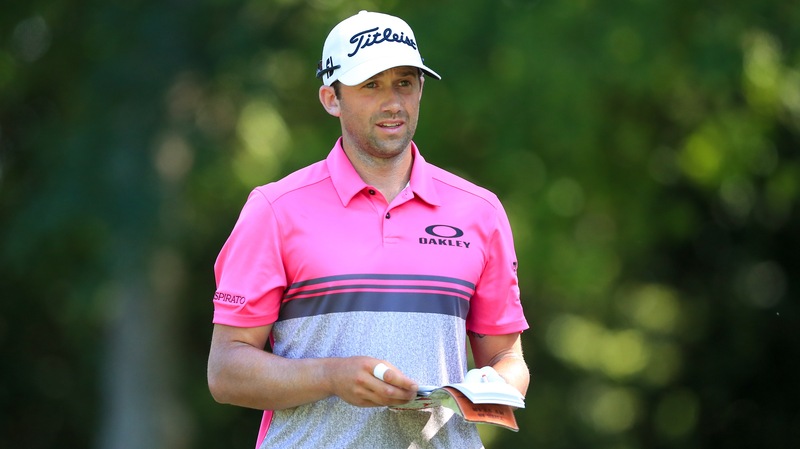 “I thought it was a fairly solid round. My shots were really consistent, and I managed to play all the smart shots today and the putts were dropping. I’d say overall I was pretty happy with what I came out with,” said the 18-year-old from Chapel Hill N.C.
“This course is narrow and tricky in its own way. Considering yesterday went pretty well I thought why not just continue to go with what I’ve been doing, and I think it worked out again today and I think I’m going to keep going with that for the rest of the week,” she said. Dylan Kim came in at 2-under today after starting with two birdies and a bogey on her front nine. The 21-year-old from Sachse, Tex. ended strong with a beautiful birdie on hole 18. “I got off to a good start and then I went a little rough in the middle there, but I’m proud of the way I finished. I finished with a birdie and that was really nice. I also had a nice par on hole 17, which is a hard hole, so I’m really glad I got through that one,” she said. Dylan Kim recorded a 66 on Tuesday, to tie Yealimi No’s new course record before Jennifer Kupcho carded a 7-under 64. “I thought the pins were tougher today, when I was looking at them before my round I was thinking ‘Ok today is going to be a little tougher, I need to be a little bit smarter today,’” said Dylan Kim. Yealimi Noh from Concord, Calif. also came in at 2-under and had a strong round. She recorded 5 pars in a row on her front nine before adding a birdie to her scorecard. Right before she made the turn she recorded another birdie on hole 9. She finished her back nine with a bogey and a third birdie. Tiffany Kong, a former Team Canada Development Squad member, recorded a 3-under 68 to land herself in fourth and as the low Canadian. She sits 5-under par for the tournament, just two strokes behind the lead trio. 73 players have advanced to the final two rounds of the national championship. The first groups will tee off Thursday at 7:30 a.m. from holes 1 and 10. 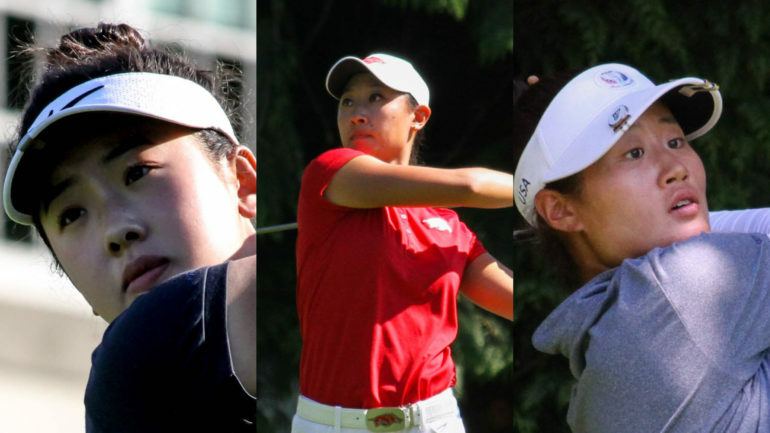 Team British Columbia won the inter-provincial competition after the team consisting of Naomi Ko, Mary Parsons and Christina Proteau shot a combined 8 over par through the two-round event. Team Ontario came in second at 13 over par and Quebec finished 9 back in third.